Trevor Douglas graduated from the University of California, San Diego with a B.S. in Chemistry. 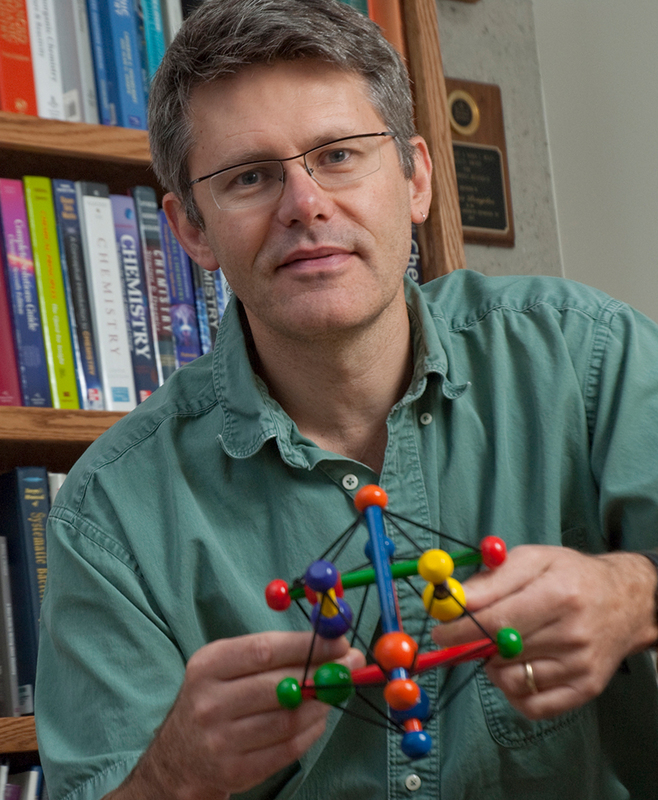 He earned a Ph.D. in Inorganic Chemistry at Cornell University in 1991, where he worked with Klaus Theopold on organometallic precursors to III-V semiconductors. From 1992-1994 he was a postdoctoral fellow in the lab of Stephen Mann at Bath University (UK), where he worked in the area of biomineralization. Before moving to Indiana University, Dr. Douglas was a member of the faculty in the Department of Chemistry and Biochemistry at Montana State University where he was the Regents Professor. In 2014, he became the Earl Blough Professor of Chemistry at Indiana University where he has continued his work in the area of biomimetic materials chemistry. The Douglas group has pioneered the use of viruses as supramolecular platforms for synthetic manipulation with a range of applications from materials to medicine. Through understanding the inherent properties of these cage-like architectures, which include high symmetry and self-assembly, their use as synthetic templates for modification and molecular design has been exploited.